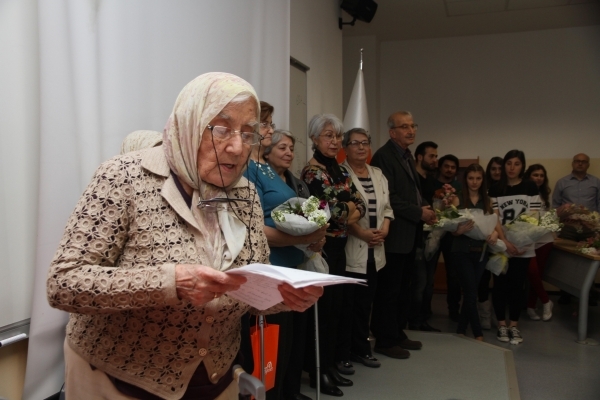 The elderly people who live at Narlıdere Huzurevi Yaşlı Bakım ve Rehabilitasyon Merkezi (Elderly Care and Rehabilitation Centre) became students of Izmir University of Economics as part of celebrating ‘Respect the Elderly Week’. The elderly sat at the desks with students and headed back in time to remember their school days. 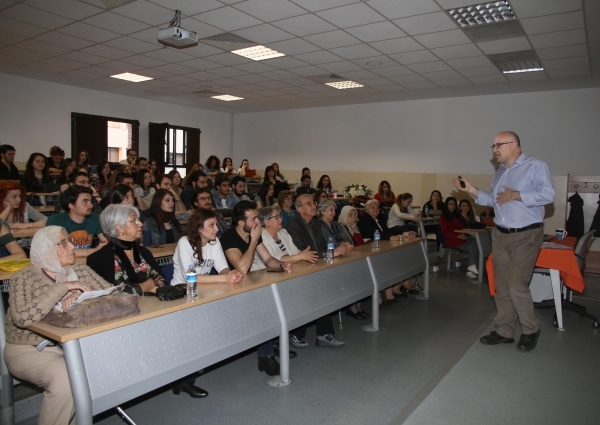 They listened to the presentations of Prof. Dr. Erol Kahveci, Head of Department of Sociology, and Assoc. Prof. Dr. Nuran Aydemir Çaylı, Lecturer at Department of Psychology, along with students at the event that was organized by Izmir University of Economics (IUE) Psychology Club, and shared their experiences in an interactive lecture. They had a coffee break at the cafeteria and chatted after the class was over. Prof. Dr. Erol Kahveci, Head of Department of Sociology, stated that the elderly were our social memory and that they should be treasured for that reason. He said that as the people aged, they became much better at creating balance between emotional behaviour toward social environment and behaviour based on rational thinking. They got involved in verbal disputes less and became more creative in finding solutions for conflicts. “They can control their emotions much better. They are able to focus on their emotions that are significant then, rather than long-term objectives. They identify their strengths and weaknesses better and direct their interest accordingly. I believe that the idea that the world would become a much happier place as the world population gets older is an issue to discuss,” said Prof. Dr. Kahveci. During the lectures, the elderly read poems on life experiences, and shared their opinions. 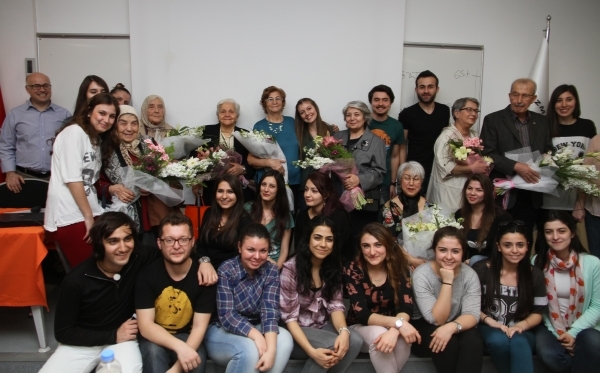 After the lecture, Psychology Club President Gizem Naz Gezgin and students presented flowers to the residents of Narlıdere Huzurevi Yaşlı Bakım ve Rehabilitasyon Merkezi (Elderly Care and Rehabilitation Centre). After that, the guests recalled their younger days at the University cafeteria.